The architect Jørgen Bækmark ran the FDB design studio for nine years, from 1958 to 1967, after Børge Mogensen, Poul M. Volther and Ejvind A. Johansson. He is today the only living designer of this time. He was born in 1929, studied cabinetmaking in 1950, and was educated at the School of Arts and Crafts and the Royal Danish Academy of Fine Arts, School of Furniture. 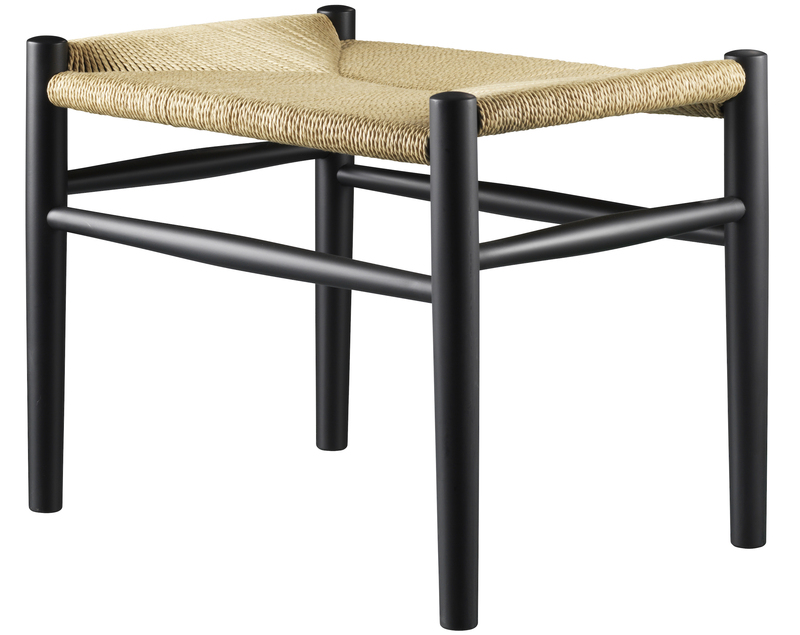 Bækmark ran the FDB design studio at a time when the demand for furniture was slowly declining. However, this did not prevent him from being at the origin of several classic furniture such as the J80 and J81. The two emblematic armchairs were based on what was particularly well known in the FDB furniture factory in Tarm: turned wood and steam bending. 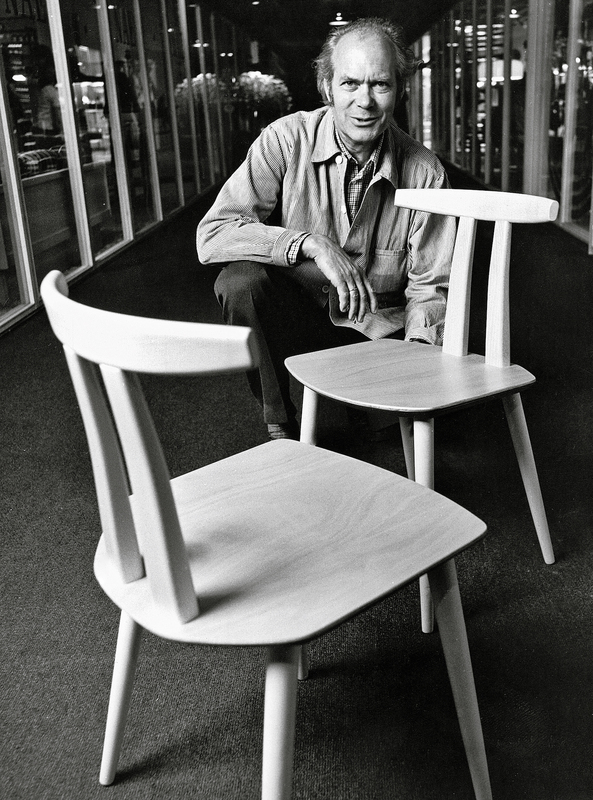 Jørgen Bækmark has personally contributed to a smooth adaptation of the J80 and J81 chairs to fit the size and height. "When making furniture, you really have to take into account production opportunities, demand and price, but sometimes I looked away from the economy, and then I drew something that I liked to look at and where I loved to sit." 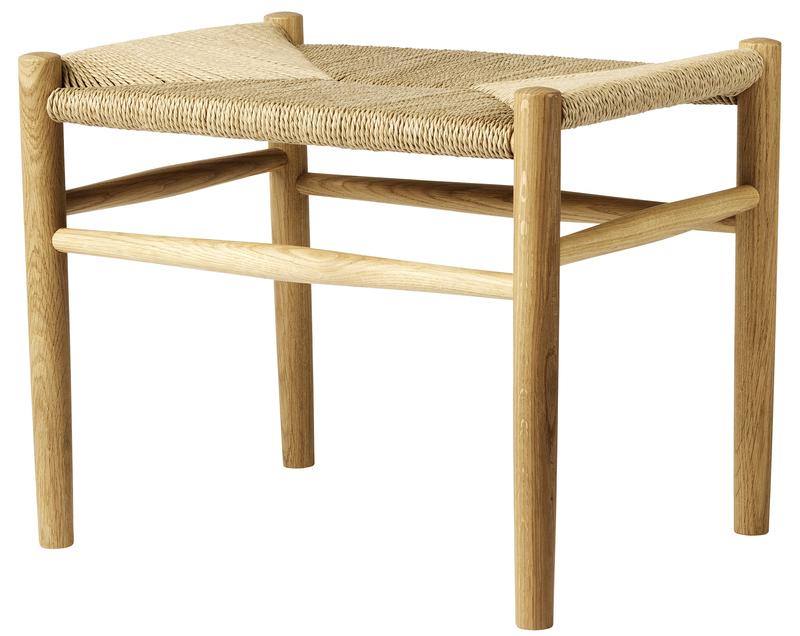 Jørgen Bækmark's philosophy is that furniture should fit people and not the other way around. Comfort is essential, but design is also an important element. 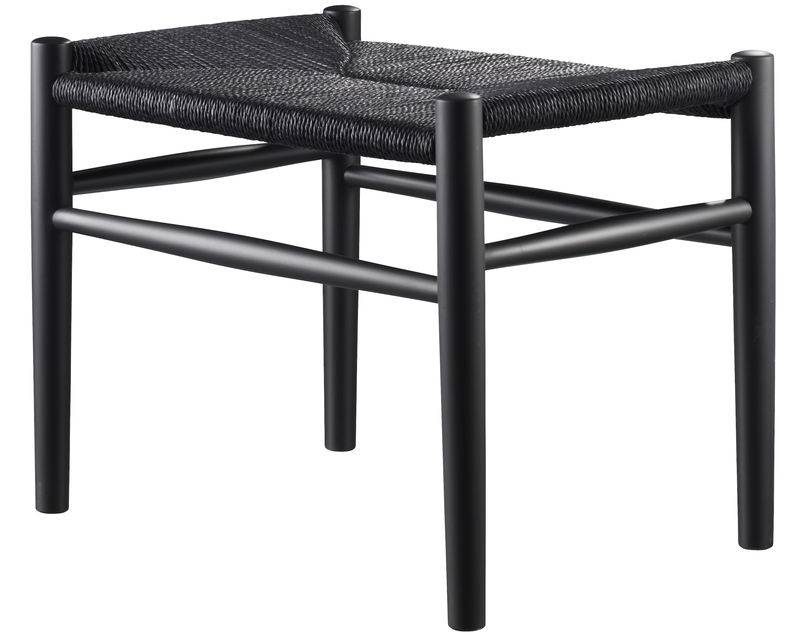 The combination of both has proven itself, as many Bækmark designs are popular today. 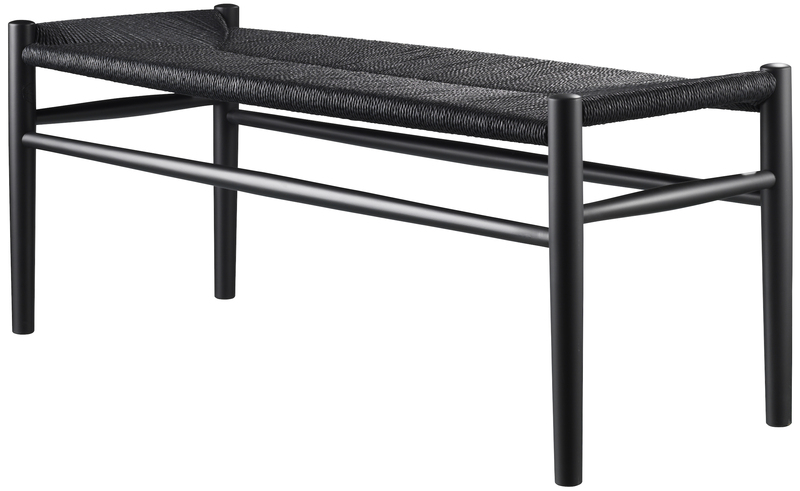 The J83 and J83B benches were designed by Jørgen Bækmark for FDB Møbler, the Danish Consumer's Cooperative Society created in the 1940s and headed by Børge Morgensen at the time. Their goal: to make affordable design furniture for the general public. 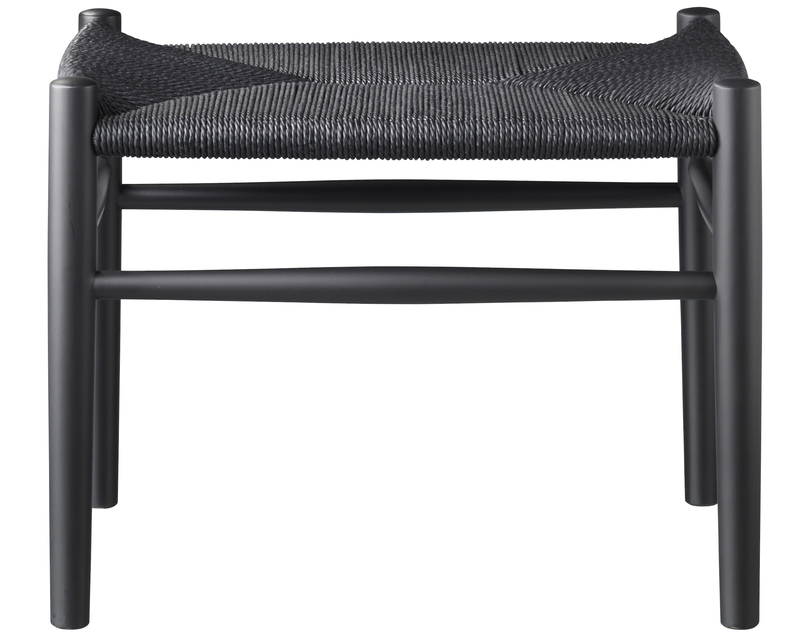 Jørgen Bærmark also designed, in the same series as these benches, the J80 and J81 chairs, as well as the J82 armchair, and in a slightly different style, the J104 chair today edited by Hay. The J83 and J83B benches are made with a solid natural oak structure, with a lacquered finish, or with black painted beech. This FSC certified wood comes from trees from European forests. 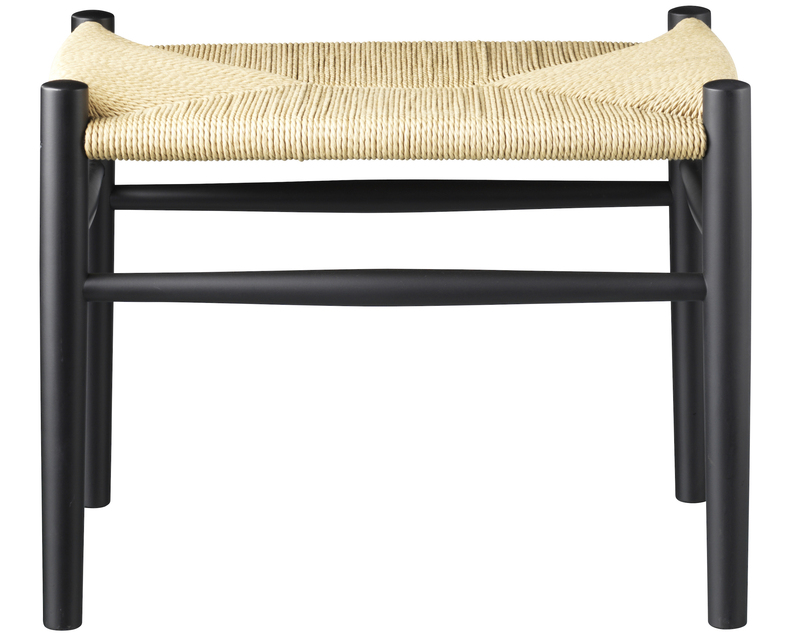 The seat is made of braided natural or black paper cord, ensuring great comfort. The benches can be used alone in an entrance, around a table, or combined with the J80 and J81 chairs, as well as the J82 armchair. 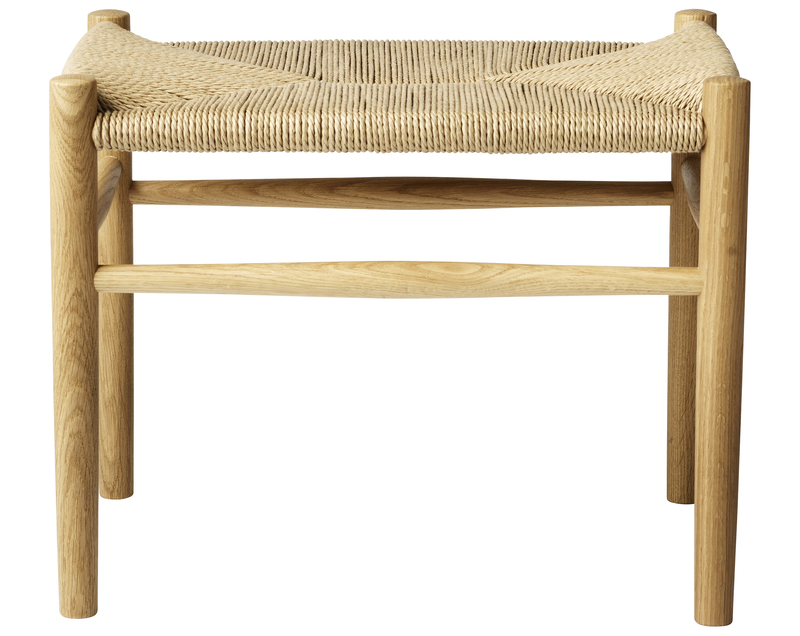 The bench J83 will then be the perfect footrest for a moment of relaxation.